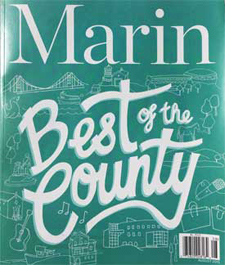 For more than 50 years 5 Star Bail Bonds has been providing people who have found themselves or a loved on the wrong side of a jail cell with bail bonds in San Rafael and throughout Marin County. The Father and daughter team of Hayden and Glen Hubbard are dedicated to completing the bail process quickly and at an affordable rate so people can continue with their day to day tasks as they prepare for their day in court. When you call us, we will be able to quickly answer any and all questions you have about bail bonds and get you or your loved one released. We will be sure to pay attention to your personal financial situation and find a solution that works best for everyone involved. We will always go out of our way to help a client! 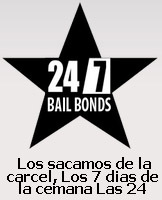 Call 5 Star Bail Bonds to learn more about bail bonds in Marin County. Hayden Hubbard was never squeamish about her father's business. After all, growing up she wore the name of the company on the back of her basketball jersey, and she loved to help the ladies who ran Bogie's Cafe next to the Marin Civic Center make dad Glen Hubbard's lunch and carry it across the street to his homey office. But until she joined Glen, 61, in the business, Hayden, now 31, never fully grasped what bail bonds are about: helping people at what is often the lowest point of their lives. "It's interesting to see the quality people who get caught up in these situations," Hayden says. Sharing with her father the values of empathy and not passing judgment has helped her seamlessly take over much of the day-to-day business at 5 Star's San Rafael office. Her aunt Lynn Simon runs another bail bonds company in Redwood City, with help from her daughter, and the two offices regularly collaborate. Running a bail bonds company gave Glen, who played pro basketball in Europe, the flexibility to coach all three of his kids' sports teams. But the family has to be flexible for their clients as well -- like that time last Mother's Day. "We're sitting there at the restaurant table and my aunt gets a call," with questions about a bond she'd posted earlier, Hayden recalls. "We do have to keep our phones at the table." At various times, many members of the family have worked in the company, even Glen's mother, Joan Perez. "Our clients say, 'I remember the lady with the white hair,' " Hayden says. "She's a spitfire of a lady but the most gentle person. She wouldn't take any crap." Getting locked up is a scary experience but thankfully you have us to help you, your friend, sibling, parent or other relative get out of lockup and back to a normal daily routine. There is no reason to wait for your court date in jail when we offer affordable bail rates in Marin County. If you're bailing someone else out you can even complete the process from your own home just by calling our office! Since 1964 our family owned bail bond business in San Rafael has been assisting people with one of the toughest times in their life. We work each bond request on a personal level to ensure that you fully understand the process, the fees and any financial obligation that you will have for various circumstances. You can trust 5 Star Bail Bonds to get you, your friend or family member released quickly. Call us at (415) 479-4800 to for fast San Rafael bail bonds today! "Great place! Great service! Thank you Christina for helping our family out! Highly recommend it!" "Hello. Thanks for the quick service! Glen and Christina were extremely helpful! They even gave my friend a ride home which save me from going out in the middle of the night!" "Glen was very helpful, explained the process, what to expect, and answered all my questions. We were 2 hours away and he called me let me know when to leave to pick up our family member. It saved us hours of waiting around unnecessarily. I highly recommend this company." "Family owned and operated, this company is compassionate, responsive and effective! When a friend of ours found themselves in a difficult situation, these agents responded immediately and walked them through the process of what to expect and why, etc. Highly recommend each of these agents for any of your bail needs." "The crew at 5 Star Bail Bonds is so helpful. Super friendly. They work within your budget and quickly. Hands down more credible than any other bail agency in Marin. I highly recommend 5 STAR BAIL BONDS."